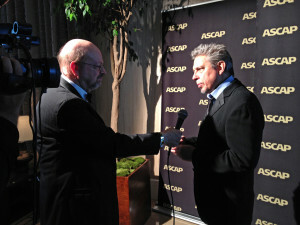 One of the fun parts of my job is interviewing many of the top music-makers in the film and TV world. 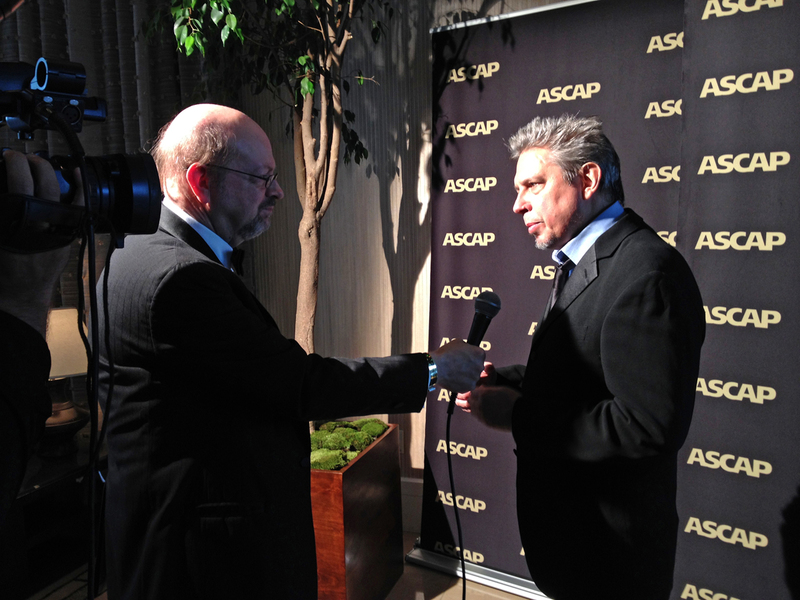 Monday night, the performing-rights society ASCAP honored two deserving composers: Elliot Goldenthal (Alien 3, Interview With the Vampire, Heat, Titus) with the Founders Award, and Deborah Lurie (Safe Haven, Dear John, An Unfinished Life) with the Shirley Walker Award. Here I am talking with the great Goldenthal; here is part of my video interview with Lurie (and it was a special treat to write and narrate the video tribute to her); and here is an overview of the entire event, with more photos of highlights.